Believe it or not, we're already almost halfway through December, and that means winter dressing is in full swing. More specifically, it's officially sweater weather, and who doesn't love an excuse to wear their coziest cashmere and wool all the time? We've still got a long way to go with these temperatures, though, so we're betting your sweater drawer is going to need an upgrade. Well, the time to stock up is now, because Net-a-Porter is having a major sale starting today. As we started combing through the selection, we spotted everything from turtlenecks to cable-knits just begging to be scooped up. Everything is already as much as 70% off, and the sales are only going to get better, increasing to 80% off in January before items hit the clearance section by February. We'd wager the must-have pieces aren't going to last that long, though so we scrolled through the sale for you and rounded up some of our favorites. Scroll on to shop the best sweater picks from the sale so far! Just a hint of that cold-shoulder trend. Cashmere and Chloé at this discount? Get it now before it's gone. A holiday sweater with a fun twist. Wear the sleeves oversize like this or roll them up for a more casual look. Double cutouts equal double the fun. This deep olive color is so seasonally appropriate. So much better than your basic black sweater. 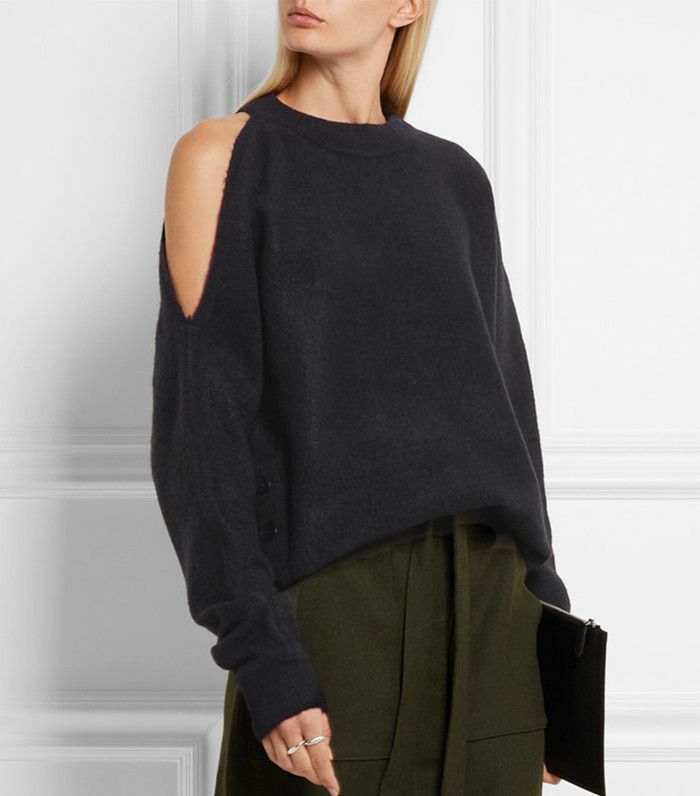 We're loving the contrasting sleeves on this one.